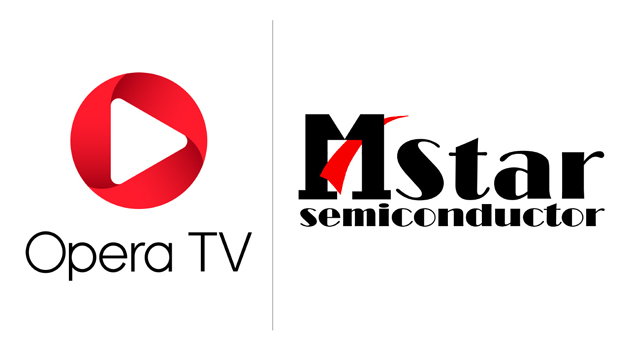 Opera TV, the market leader in enabling OTT, and MStar Semiconductor, Inc., a leading semiconductor company for display and digital home solutions, today announced the availability of a built-in Over-the-Top (OTT) solution on MStar’s System-on-a-Chip (SoC) Set-Top Boxes (STB). Together, Opera TV and MStar are offering STB manufacturers and service providers a pre-integrated platform solution, providing overall cost savings and reducing the time-to-market for OTT-enabled STB solutions. This market-ready solution enables STB manufacturers and Pay TV Operators the opportunity to deliver consumers with immediate access to premium OTT content through an engaging viewing experience directly from their STB device. Today’s consumers want easy and effortless access to OTT content from the devices and services they already have within their homes. MStar is the world leader of Free-to-Air (FTA) and pay-TV STB controller SoCs on the market today, providing a complete solution that includes a full series of demodulators. Additionally, MStar provides a full software portfolio including the MStar SDK, accelerating the time to market for STB manufacturers and service providers. MStar’s SoCs for STBs with Opera TV integration is a one-stop, modular solution for OTT integration, reducing cost and time-to-market. The MStar SoCs for STBs are packaged with Opera TV’s complete suite of OTT-enabling products providing full support for advanced UI rendering, HbbTV capabilities, a media streaming module with support for all popular adaptive streaming formats used in OTT, as well as an HTML5-based application platform providing tailored and engaging OTT viewing experiences. The integration enables Opera TV to provide more than 1,000 popular apps to MStar’s customers for effortless OTT integration onto their devices into their own UI’s or using Opera TV’s UI, significantly reducing time to market. CES 2017 attendees can experience a demonstration of the latest integration from Opera TV and MStar Semiconductor, Inc. at the Opera TV booth (South Hall 2 Meeting Place # 25270) at the Las Vegas Convention Center January 5 – 8, 2017.